There was a time when fighters competing outside of the UFC were all considered “inferior” in some fashion. The Octagon was the end all, be all for professional mixed martial artists; make it there and you’ve essentially reached the top of your sport. Now, one wonders if that’s still the case. The UFC inarguably has the most top shelf athletes within the sport, but that doesn’t mean it’s easy to write off the fighters competing in other MMA promotions. Remember the time when it was well-established that Bellator MMA was the second tier of fight promotions? Fans of the sport assumed that the men and women who reached champion status in that organization were only champions because they weren’t competing in the UFC. On top of that, the belief that a competitor leaving the UFC would immediately become a top-level fighter in Bellator was widely accepted. Times have changed, as more fighters make that jump but many struggle to find that level of success. Let’s look to this weekend and other recent events for this debate. 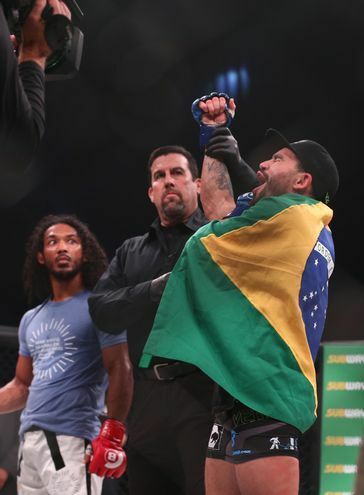 On September 23 at Bellator 183, two formerly highly-ranked UFC fighters stepped into Bellator’s arena and were defeated. Former lightweight champion Benson Henderson dropped a split decision to Patricky Freire and Lorenz Larkin was stopped by Paul Daley. 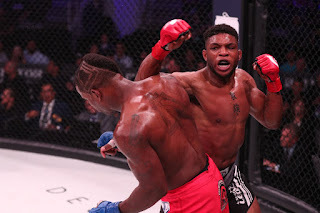 Both Henderson and Larkin were expected to make a splash in Bellator when they made the jump to the UFC, but to date they have a 1-5 record in the promotion. The struggles do not stop there. Former Strikeforce champion and UFC title challenger Josh Thomson is coming off of a violent KO stoppage at the hands of Freire earlier this year. He’s another name fighter that was expected to quickly rise to main event status, and after winning two bouts, his momentum was quickly stopped. The story isn’t all doom and gloom, however. Roy Nelson walked out of Bellator 183 with a victory. Ryan Bader came over from the UFC to take the light heavyweight title from another former UFC competitor in Phil Davis. Gegard Mousasi is the next big signing who is set to make his debut later this year, as is Michael MacDonald. Frank Mir was recently signed by the promotion, but his debut date has not be set as of yet. The sample of data is going to grow in the coming year, as the UFC continues to make decisions about who to re-sign and who to let chase free agency. 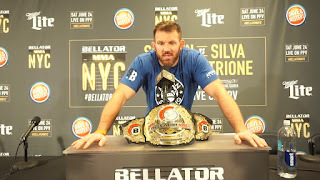 Bellator will continue to build its roster by picking up some of the names available, but the expectation should not be that these signings will become immediate powerhouses within the Viacom-owned promotion. The sport of mixed martial arts is beyond the point of assuming that fighters from other promotions cannot make a splash in the UFC. Eddie Alvarez, Luke Rockhold, and Daniel Cormier have proven that idea wrong. Henderson and Larkin’s struggles in Bellator are proof of the inverse. The UFC is still the top promotion in the sport, but the development of talented fighters in other promotions only makes the sport better.